Putting your telephones in the Cloud makes sense for many large businesses. Increase network performance with our hardware-based firewall. Designed by Simple-wan, but fully supported locally by the experts at Xact. Fully compliant with current regulations, fail-over support, and cloud-based management & provisioning. Robust Phone Systems, Sophisticated Network Solutions, Hardened Security, From a Single Vendor! 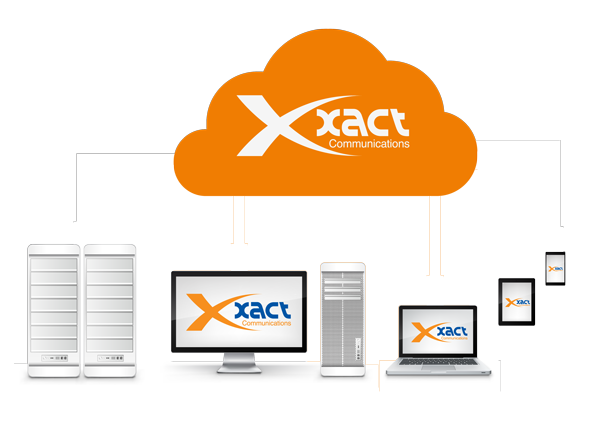 With over 20 years of experience in business telecommunications, Xact Communications is a reliable and stable company that is ready to take your company to the next level. The Xact-Link Cloud Firewall automates complicated networks with VoIP, HIPAA, & PCI compliance requirements. With failover connections, a smart and constantly-updated firewall, cost-effective and creative solutions for Cybersecurity, SD-WAN, and Remote Diagnostics. Our automated technology helps reduce IT security costs and frees your resources for other parts of your business. Xact-Link is designed around the traffic management and flow required by today's real-time services, including VoIP, Point of Sale, video, and real-time monitoring systems. These don't always properly communicate on congested networks, but Xact-Link's technology identifies these services and ensures that all data packets are sent and received on any normal or congested DSL or cable connection, right out of the box. Because it's not a matter of if a connection will have a problem, but when. 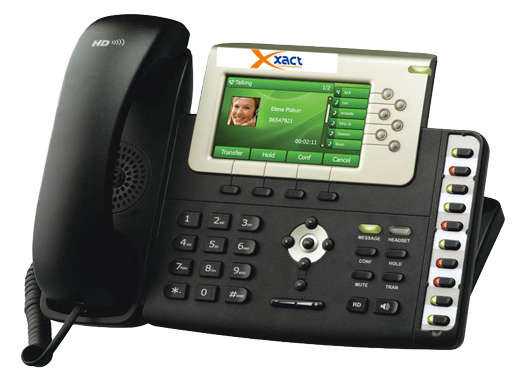 Your business phones are no doubt VoIP phones Xact-Link has built-in, proprietary technology that will keep your phone calls clear and jitter-free, even on low-speed connections. We reserve a set amount of bandwidth when a call is placed, and keep it until the call ends - simple as that! Xact-Link uses unique technology called Virtual Multiple Protocol Layer Switching (vMPLS) that allows your business to connect multiple locations through a secure, managed network, no matter who your carrier is, and with built-in failover connections! Now your entire corporate network can be accessed securely from any location in the world! Companies with locations in different states have found it nearly impossible to find one carrier who can provide a private and secure network between all their locations. We make it easy and affordable, using a carrier-neutral deployment system that uses patent-pending Smart Routing Technology that utilizes dozens of private backbone connections to provide the shortest route between locations. By using broadband access that is readily available, you get a scalable and flexible solution that is cost-effective for any business.